Tillie Prescott is escaping from her stepfather, who has no intention of acting in a true fatherly manner. She runs away from home in Atlanta to find her brother in Savannah, hoping he will look after her. With no skills to speak of, she agrees to her brother’s suggestion to offer herself as a wife to his friend who has been advertising for a companion. She agrees, believing God in his wisdom, is looking after her. Never had she thought of becoming a mail order bride, but it provides a solution to a problem that will not go away, particularly when her stepfather turns up at the wedding to take her home again. When Tillie finally arrives in Hope Springs, she finds a small town that is so different from her brother’s home in Savannah, that she is overwhelmed, not sure she can make the necessary adjustments to live in the West. Is her marriage really one of convenience or will love grow? Can Tillie overcome her fears by trusting God to give her strength? Tillie, Mail Order Brides of Hope Springs is a clean, inspirational mail order bride romance. While this book is part of a series, it can definitely be read as a standalone book. The Mail Order Brides of Hope Springs: is a heartwarming series of clean inspirational romance stories, featuring God-fearing men and the women who venture West as mail-order brides to build a future and a new life on the Western frontier. PRICE REDUCED (regular price is $3.99.) KDP Countdown: 99 cents Nov. 10-16. IF this will not work for a two-week feature, please let me know. Paralyzing memories of abuse . . . A beautiful glass paperweight . . . Escape to the wilderness! Her relatives say, “Don’t bury yourself in that wilderness. Even though you’re a widow, you’re still young.” But Madeleine decides to go. She’ll help her aunt restore the old house; she’ll sign up for an online baking course; and she’ll be strong and independent. Her plan seems to be working until she has to deflect the attentions of two men. The doctor, who has a fire-scarred past, is not upset by her panic attacks and knows he can help her to heal. The writer, who conceals more than one secret, admires her spirit and is certain that she needs him. 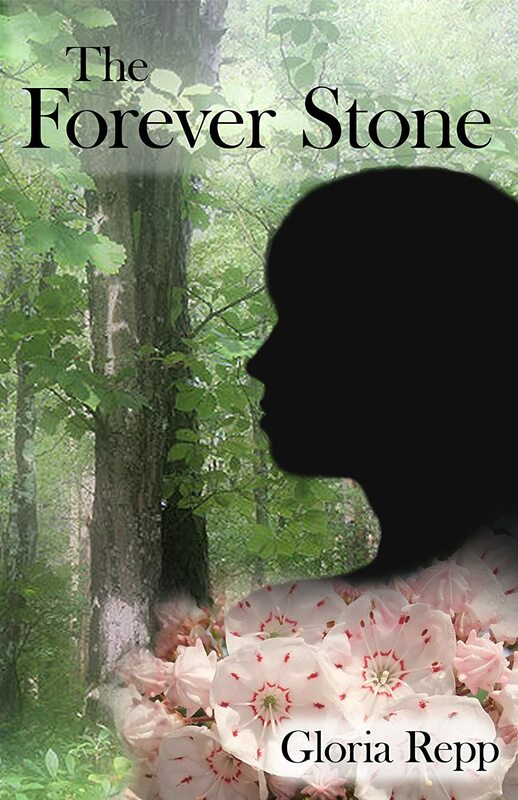 God uses both men and her father’s gift of a floral paperweight to remind Madeleine of His enduring “forever love,” and as she yields to Him, she finds the courage to take a new and challenging path. While some may think your book Holy Land and the story of the re-emergence of the healing cloak of Jesus is purely fictional, I do not. I know it is true. Just like this story. Inside this package, you will find a replica of the head of a spear known to Biblical historians as the “Spear of Destiny.” The original spear held by a Roman guard was used to pierce the side of Jesus as he hung on the cross. After the crucifixion, the spear disappeared. It traveled to several countries, and a number of successful military leaders are said to have possessed it, including Hitler. Just like the cloak did in your book, the spear has resurfaced and is believed to be in South Florida. A number of very deluded but powerful men still cling to the hope that if they can get their hands on the spear, which they believe is infused with the power of God, the Fourth Reich will rise to power and rule the world—a more powerful rerun of Hitler and the Third Reich. I’m sure you will agree that keeping this from happening is of the utmost urgency. I will contact you soon to tell you the whole story. Rest assured this is not a hoax. A watery canal, Burmese python, burning cross, alligator pit, and the Imperial Wizard of the Ku Klux Klan are only a few of the obstacles Shea Baker experiences as he searches for the Spear of Destiny. Follow Shea Baker’s lump-in-the-throat escapades as he is once again plunged headlong into a mystery of biblical proportions in The Spear of Destiny. The second in a series of exciting Shea Baker mysteries. What if the world had access to an ancient garment that would miraculously heal anyone who touched it? Would it be a blessing or a curse? This question and more face brash, but endearing, freelance writer Shea Baker, as he finds himself hurled headlong into a mystery of biblical proportions. The first in a series of Shea Baker mysteries. 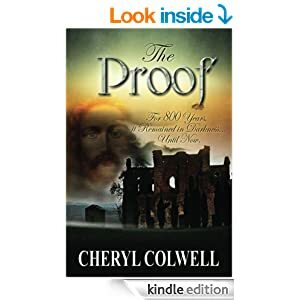 Set in both South Florida and Jerusalem, the contemporary story gives us a fascinating look at biblical archeological history and introduces us to a number of interesting characters, each with his/her own reasons for wanting to possess the power of the ancient healing cloak. An intriguing story, “The Cloak” takes us on a theoretical ride of world-altering possibilities. It is thought provoking and inspirational, causing one to consider the merit of belief. Lisa Richards has a dream. And a secret. In league with the clandestine Montebelli Corporation, she grasps her one chance to accomplish her plan to help revive the town her ancestors helped settle. It is a huge undertaking, putting all she holds dear at risk. Including her life. As a stranger to town, Steven Taylor distrusts Lisa’s suspicious behavior and sets out to expose her. Instead, he discovers the truth and becomes one of her few allies when her enemies join forces to seize her inheritance—Fire Mountain. As the Guardian of the mountain, Lisa is privy to secrets that may lead to a fabled cache of precious fire opals, a treasure that could save her dream—if she can find it before she loses the mountain. The whole entire story of the Book of Genesis as told to you by the world’s oldest storyteller, Uncle Bob. If you think you KNOW the truth behind the Bible Stories you REALLY ought to pick up a copy of this book. If you are one of those folks who thinks that it is bad manners to giggle a little in church – well, you might want to take a good look at the sample that the Kindle folks let you peek at before you go throwing down any of your hard-earned money. This isn’t exactly a solemn retelling of the Bible. In fact, I guarantee a giggle or two along the way. The fact is this is the story of the Book of Genesis as retold by a country gentleman who read the Bible a couple of times and is doing his level best to retell it in his own words. Means he takes some liberties with the Gospel. Or – in the words of Uncle Bob – this here is mostly the truth with only a few lies stirred into the broth for pepper. Don’t say I did not warn you! 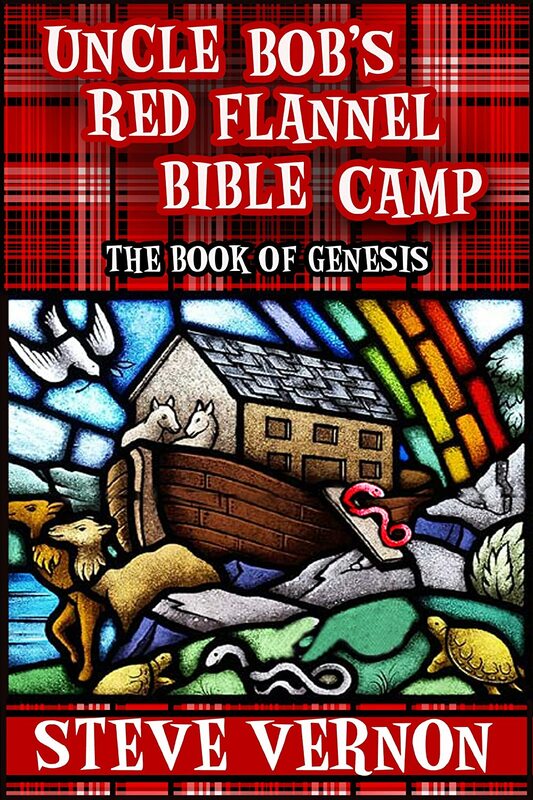 AND – from May 5 to May 12 Uncle Bob’s Red Flannel Bible Camp – The Book of Genesis – usually priced at $4.99 is available at the Kindle Countdown price of $0.99!!! The good word has NEVER been so cheap before. Hardworking and hungry Bible school student Jane Adler mops up other peoples messes to make ends meet. There’s nothing wrong with honest hard work–until she finds the body in her bosses bed. With her hopes and dreams of being a missionary looking farther and farther away, taking care of her clients, who happen to be old school friends, in their time of need may be the most satisfying thing she’s had to do in at least a year. That is, until she meets the handsome Professor Daniels. 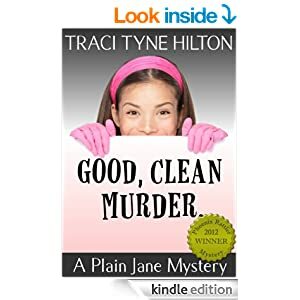 With the murder to solve, handsome professors, and the hurting family to minister Jane may have dusted up more trouble than she can handle. Get Awesome Christian Books For Your eReader!